Hey guys, hope that you are having a great Thursday and the taxi strike didn't affect you as much as it did me (atleast I got a chance to blog). 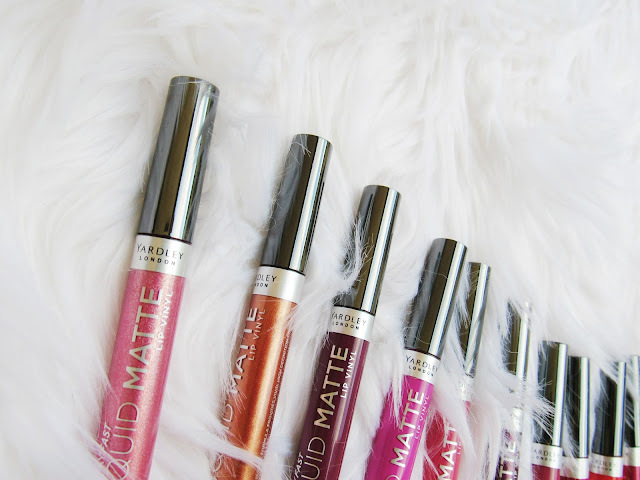 So here is the thing this post was supposed to go live last week the same time I shared my first impressions of the new Yardley Stayfast Matte Metallic Lippies on YouTube but rather late than never. P.S. the review will be focusing on the 4 new metallic shades (pictured above). 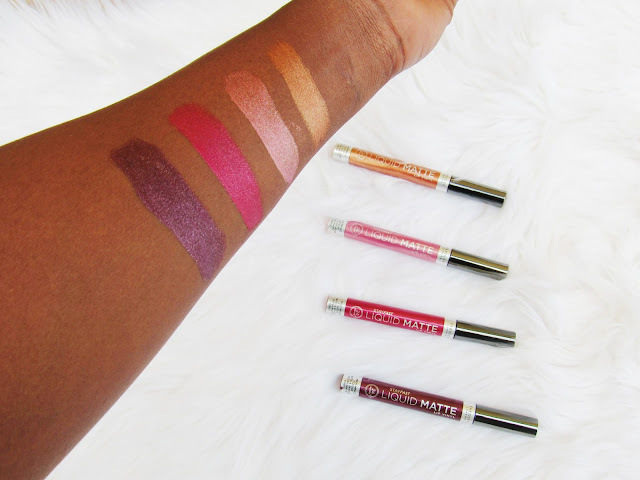 Yardley Stayfast Liquid Matte Lip Vinyl in 4 NEW lustrous metallic shades. All the benefits of our coveted Stayfast Liquid Matte Lip Vinyl – high impact colour, 24 hour wear and an ultra-matte finish; now comes with a glittery, jewel like finish. Merging the staying power of a matte lipstick with the high wattage shine of a metallic! 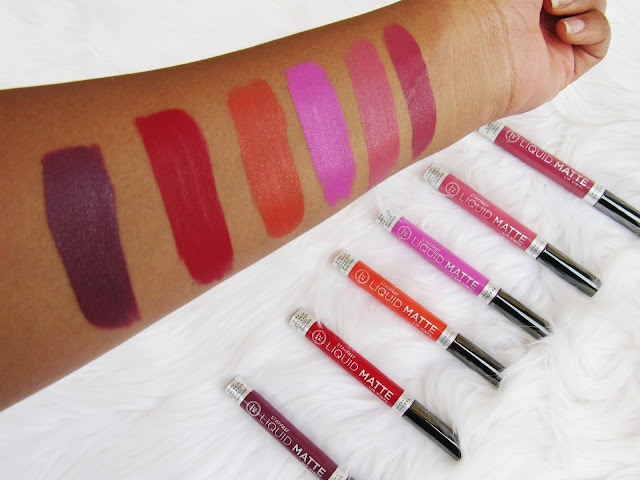 The lippies come in the same pack as the already existing matte shades, if it wasn't for the sticker on top it would be a bit difficult to tell the metallic to the mattes... However the metallic shades are pretty visible also because the bottle is transparent and all you see are shimmers withing the lip product... so I ain't complaining that much. Another thing is I thought that when I do apply them on the lips they would feel heavy and won't dry out... I was proven wrong also here, the metallic lippies are one application you are happy, quick to dry and don't feel heavy on the lips. Everyone is releasing metallic shades these days and I must say Yardley did a great on this one. The Yardley Stayfast Liquid Matte Metallic Lip Vinyl are super affordable, lite on the lips and super quick to dry-out.